Purity. This simple six letter word conjures up profound connotations of flawless perfection. In recent years, it has become a buzzword for the natural wine movement. It is bandied about freely in winery literature, press articles and the like. In a recent Meininger’s article, Canberra-based natural winemaker Bryan Martin reckoned that his pét nat sparkling Riesling offers, ‘the most pure expression of Riesling that you can get’. Isabelle Legeron asserts that, ‘natural wines have purer flavours…’ in the Basic Introduction to Natural Wine on her excellent website. Let me start by saying that I am an enthusiastic supporter of growers that strive to create healthy, balanced vineyards free of chemical poisons. I actively seek out producers crafting singular wines that stand out from the crowd. I therefore applaud natural winemaking and its laudable principles. However, I take issue with the community’s appropriation of the notion of purity. This act has tacit implications for other winemaking styles. It also calls into question the true motivation of its admirers. According to the Oxford Dictionary, purity means ‘freedom from adulteration or contamination’. The majority of low interventionist wines are made without additives. In this sense, deeming them pure is a fair assessment. Wild yeasts are allowed to spur spontaneous fermentation, acid levels are not adjusted, commercial enzymes are eschewed and sulphur dioxide, if used at all, is kept to a strict minimum. In ideal conditions: impeccable winery hygiene, scrupulous oxygen management, precise temperature control from fermentation right through to the moment of consumption, these wines can be divine. The complexity, elegance and, indeed purity, of well-made natural wines is, to me, a given. But ideal conditions are rarely achieved in winemaking, as in life. Naturally occurring yeast colonies often struggle to complete fermentation as alcohol levels and temperatures rise. Stuck fermentations are common leaving the must at risk of exposure to all manners of yeasts and bacteria that can significantly alter aromatics and flavours. This isn’t always a bad thing. In certain cases, the result is a heightened complexity that gives the wine infinitely more appeal. Be this as it may, microbial infection is a form of contamination, rendering the affected wine impure if we are to take the dictionary definition literally. …ideal conditions are rarely achieved in winemaking, as in life. This idea takes on additional significance if we consider the most common usage for this term. More often than not purity, as relates to wine, is a descriptor for the character of the fruit. In the glossary section of the Wine Cellar Insider, purity is likened to ‘tasting a sweet, ripe berry off the vine’. And yet, the heady raspberry bouquet of Grenache is muted in the presence of pungent Brettanomyces-induced barnyard aromas. The acrid pitch of high volatile acidity levels overshadows the fruity vibrancy of even the spriteliest Gamay. To me, wines protected from microbial and oxidative reactions, with precision and restraint, show far brighter, more expressive fruit. The reputed natural wine advocate Pierre Jancou, speaking though his website MorethanOrganic.com, purports that natural wines have ‘purity and honesty of expression’, while wines made in a conventional way ‘taste of the same few manufactured flavours’. The term conventional is murky. For many adherents to the natural wine movement, any manipulation in the winery equates to conventional winemaking. Following that logic, the simple act of chaptalising, commonly practiced in most cool vintage for even top Burgundy estates, renders wines conventional. I don’t know of many fortunate enough to taste the exquisite wines of Domaine Leflaive that would claim they lack complexity or a true sense of terroir. The notion of honesty of expression is also troubling as it stakes out a moral high ground for natural wines. The insinuation is anything but subtle. Wines made with any form of vinification aides or antioxidants are dishonest; those that imbibe are being duped. So does the practice of egg white fining at Château Margaux make their wines less sincere? With the softening of the tannins, does the pure expression of this storied wine lessen? The notion of honesty of expression is troubling as it stakes out a moral high ground for natural wines. American writer Calvin Trillin once said, ‘the price of purity is purists’. Time and again, I have found myself staring down zealous sommeliers who swears only by natural wines. They have an almost religious fervour about them, blithely filling their wine lists with offerings that only a handful of customers will actually enjoy. They condemn other wine styles and patronize those that dare to offer a differing opinion. 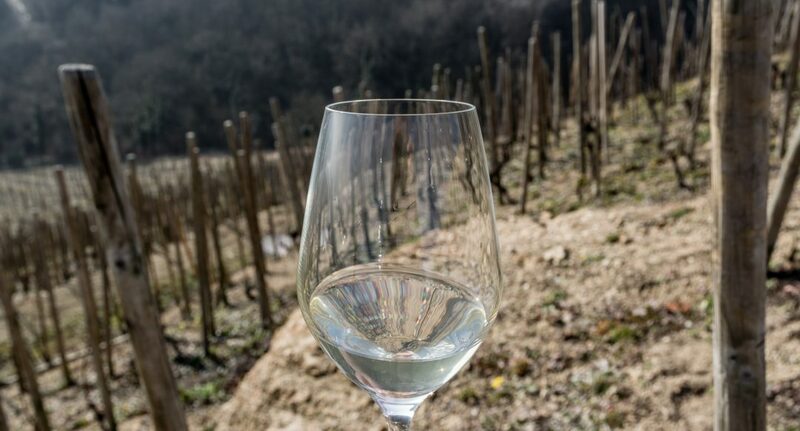 The thought that intrigues me is, deep down, do enthusiasts truly love the wines, or is it the idea of experiencing so-called purity that has them hooked? Every field has its share of purists. My musician brother told me of audiophiles that go to insane lengths and spend upwards of 50 000$ on sound systems in the pursuit of ‘the perfect sound’. Where does one draw the line between passion and obsession? And what is the virtue of purity for purity’s sake? The danger, as I see it, is a narrowing of scope. Purists often have a limited view of what is acceptable, and what is not. Applying a strict set of doctrines to winemaking seems a step backward. I often hear natural wine advocates claim that the wines hearken back to the days before industrialization. And yet, I am quite sure that if our forefathers, who watched in dismay when their wine turned vinegary, could have flipped a switch to cool their tanks, or restarted fermentation with cultured yeasts, they would have. The winemakers I admire most embrace both tradition and innovation. They step back when they can and step in (with a gentle touch) when necessary to preserve wine from spoilage. The danger, as I see it, is a narrowing of scope. Purists often have a limited view of what is acceptable, and what is not. For all the well-crafted natural wines out there that truly embody a notion of purity, there are as many top class conventionally made wines that can justly make the same claim. The term cannot simply be brandished by one camp as a distinguishing feature of style. Firstly, because the assertion is often inaccurate. Secondly, as applying the word to a specific winemaking philosophy carries the insinuation that wines not made in this manner are impure and therefore less worthy. This powerful implication could well be the reason that many wine lovers have become such die-hard fans. Perhaps it is time for natural wines to lay down the banner of purity and let drinkers decide for themselves?